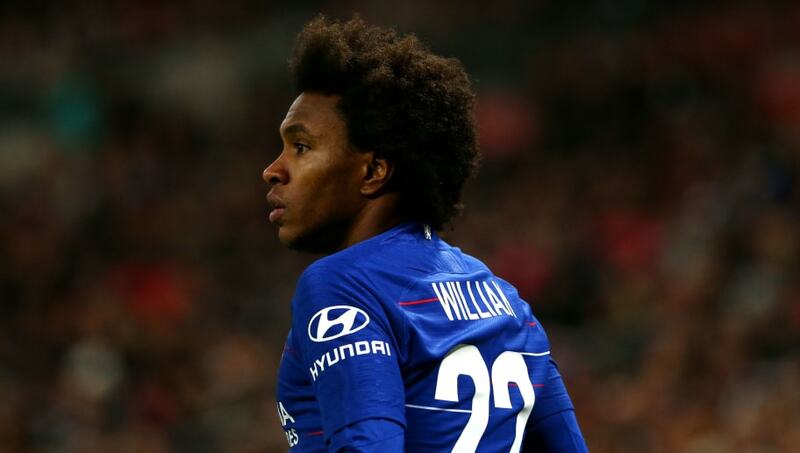 ​Chelsea are reported to have rejected Barcelona's renewed bid for forward Willian, on the basis that they want to strengthen their squad - not weaken it - in the January window. The Blues have been under something of a siege of bids since the window opened last week, with Bayern Munich seemingly hell-bent on landing youth prospect Callum Hudson-Odoi, before Barcelona's interest in Willian came back to the surface in recent days. Such was their renewed interest in the Brazilian - who they were thought to be close to signing in the summer - that reports of a ​£50m-valued bid for the 30-year-old soon emerged, with winger Malcom also being thrown in as a makeweight. In the latest update to the story, however, it would seem Maurizio Sarri's ​Chelsea are not interested in negotiations, and have rejected the bid outright, according to the ​Telegraph. It's thought that Chelsea are keen to strengthen their side this month - with reports linking them to Gonzalo Higuain, Callum Wilson and Nicolo Barella since the start of January - and do not see a Malcom plus cash bid for Willian as a means of doing that. They see Willian as a key member of the squad, and value him higher than the bid tabled by ​Barca - thought to be Malcom plus cash taking it to the value of £50m. Reading between the lines, it seems the Blues don't see Malcom as an adequate replacement for Willian, who will be 31 this year. That's perhaps understandable, given that he's barely featured in the league this season. Poor form and a couple of minor injury issues have equated to just one ​La Liga start, in fact, with squad rotation and the Copa del Rey giving him the other three he's managed in competitions.